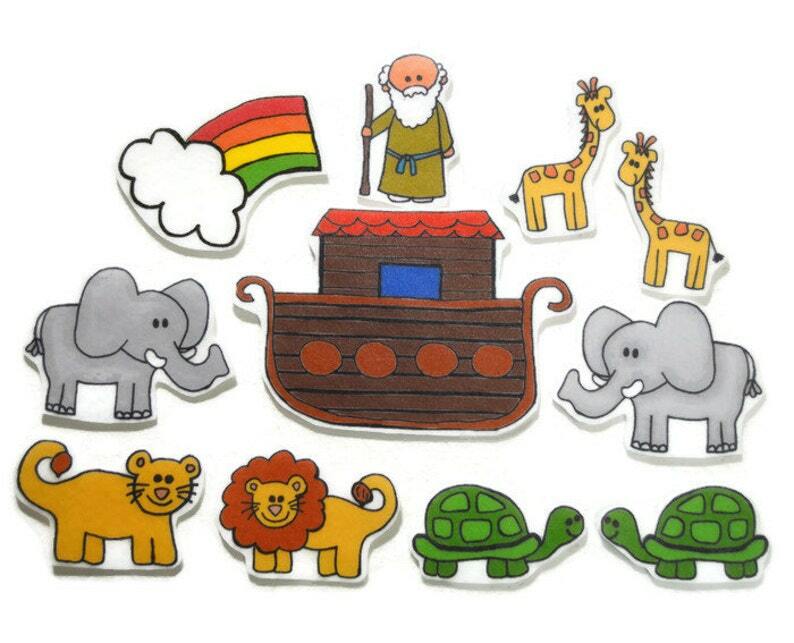 This adorable felt board set includes Noah, the ark, the rainbow, a pair of turtles, a pair of lions, a pair of zebras, pair of giraffes, and a pair of elephants. 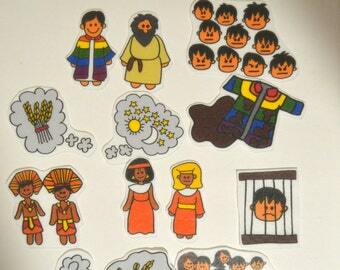 The pieces were hand drawn and iron on transferred to felt. 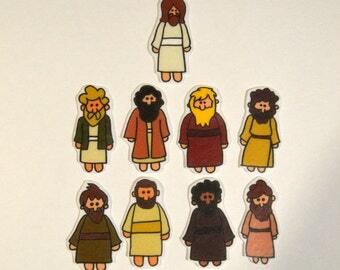 In the regular size set the pieces are (on average) about 2.5 inches tall. The regular size set is perfect for small/medium felt boards. But if you are looking for larger pieces for a bigger board or large group, the extra large set is about 5 inches. These pieces are made of felt and will stick to felt or flannel.